SOA Gender Swap: Katey Sagal as Clay. Katey Sagal as a female version of Clay Morrow (Ron Perlman). 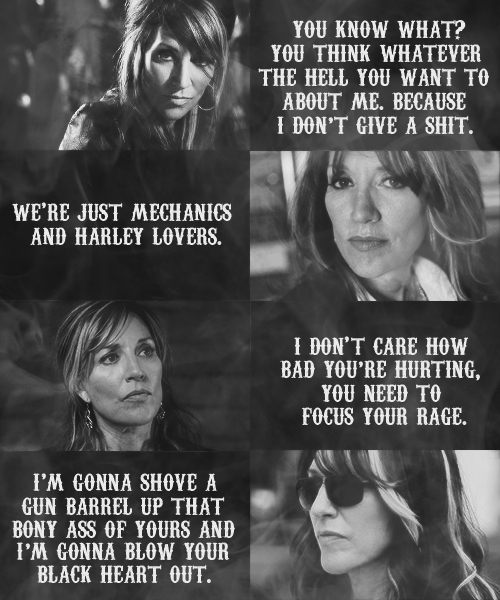 Wallpaper and background images in the Сыны анархии club tagged: photo sons of anarchy fan art gender swap katey sagal clay. This Сыны анархии fan art contains аниме, комиксы, манга, анимационные фильмы, комикс, мультфильм, and книга комиксов.